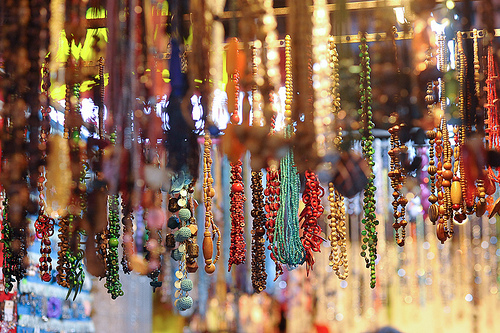 Bursting with all different types of shops, from roadside stalls and street vendors, to markets, to shopping arcades, Ho Chi Minh City has lots of differing products and sellers to choose from. Situated in Chinatown, it is the largest market in Ho Chi Minh City. Getting lost is almost inevitable, and most of the fun! Ho Chi Minh City has a few large shopping malls, which are normally aimed at tourists or the rich and wealthy Vietnamese businessmen, although some shops will be frequented by locals. Opened in 2010, Vincom Centre is the biggest shopping mall in Vietnam. With 26 storeys and about 58,000 sq metres (~624,300 sq feet) of floor space, a wide range of products are on sale here. Famous multinational companies have opened branches here, however, due to the fact that the building is so big, lots of local stores have been set up as well. What this basically means is that you have a choice of buying things from Armani or Versace, as well as being able to pick up cheap toys, clothing or other accessories, including some which may well have ‘fallen off the back of a lorry’. As well as shops, Vincom Centre also houses offices and several western restaurants, such as Popeye’s Fried Chicken and Carl’s Jr. Hamburger. There are also several coffee shops and restaurants. The biggest problem is that prices can be rather high in this mall, and it can feel rather empty, especially on working days. Diamond Plaza also hosts many famous brands, but attracts more visitors as it has more shops suited to local Vietnamese people. Featuring a cinema and a food court, western food is also available here, such as KFC and Pizza Hut. As the cinema (Lotte Cinema) is one of the largest in Ho Chi Minh City, it is quite a modern set-up, with the latest movies being shown there (although probably in Vietnamese! ).